Do you run your business? Or does your business run you? You’ve spent your life learning all you can and becoming an expert in your chosen field. We’re guessing that doesn’t include finding ways to maximize your assets, identify efficiencies, and strategically plan for any changes in the tax code. No, that’s our area of expertise, and since 1945, we’ve honed our abilities and corporate structure to help companies get the most out of their business and reach their financial goals. We are allies. We learn our clients’ intentions, find out all we can about their business operations, and offer a fresh and educated perspective on how their organization can be as profitable as possible. You’re an expert at what you do. At Greenwalt, we’re experts at handling everything else. Your prompt and effective service is why we switched to you guys and you continue to demonstrate that we made the right choice. Confidants with you at every step. Teamwork is valuable for any business, and our CPAs know that better than anyone. We don’t want to be just your accountants. We want to be your confidants. We know the best way for a relationship to succeed is to operate in lockstep with the strategic plan of every organization we serve. We emphasize collaboration and recognize the value that multiple points of view can bring to the table. At Greenwalt, our organization is divided into industry-specific teams that continually build their skills and knowledge base and make it their mission to know every detail about your organization. This means you have a PhD level of expertise at your company’s disposal, completely dedicated to your success. The only way that we succeed is if you succeed. Greenwalt is a member of CPA Associates International, Inc (CPAAI), an organization that gives us global resources. We use this relationship and others to give us the best insight available about new strategies and plans to improve our clients’ financial well-being. We never stop learning. We never stop working for you and your interests. We are more than CPAs. 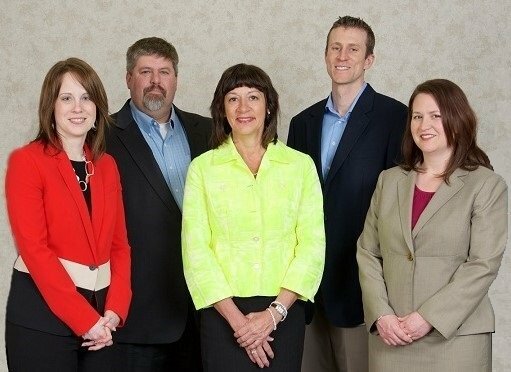 We are a team of highly motivated professionals that care about our community and the success of our clients. We don’t just balance books and help businesses maintain the status quo. We help businesses thrive. We want to be your allies and confidants. We want to protect your interests and cheer you on to greater heights. We know that the only way that we succeed is if you succeed.